Adams’ next move is, in my opinion, bold and masterful. He opens up the words of the text by describing them in terms of a simple geometric figure encoding a few obvious relationships. The words may be distinguished into a centre, a circumference, and a mediate line, referring the one to the other. The immovable centre is Jesus Christ. The circumference, that runs round about him here, is eternity: ‘Yesterday, to-day, and for ever.’ The mediate line referring them is, ὁ αὐτός, the same. You can probably picture that as soon as you hear it or read it, but just in case, here’s a quick sketch of the suggested figure. 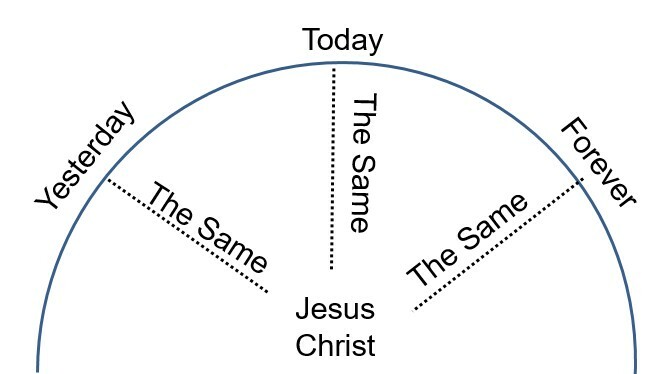 The reason Adams’ division of the text is so powerful is that while he is immediately explicating the sense of the sentence (you can read the sentence discursively if you start from the center and treat the three radii as one), he is also describing the substance of the doctrine: “The immovable centre is Jesus Christ,” and around him runs eternity. “Ber. in Can.” means Bernard of Clairvaux’s sermons on the Song of Songs, Sermon 15.6. 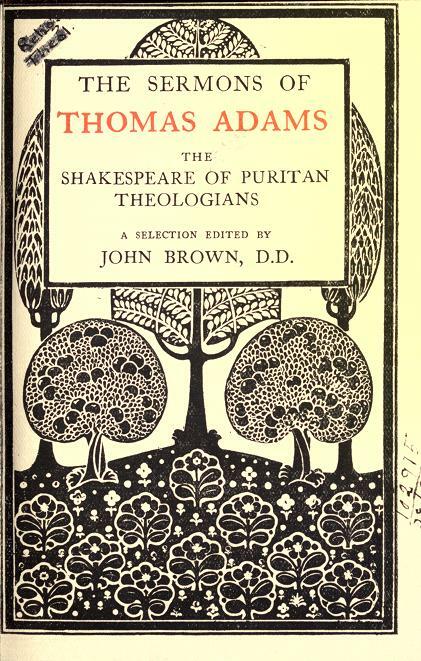 The word order in the best editions is a little different (Iesus mel in ore, in aure melos, in corde iubilus), but the saying became one of the greatest hits of the late middle ages in the form Adams quotes. It means “honey in the mouth, music in the ear, joy in the heart” and is one of the million ways Bernard found to express the fact that there is a progression of sweetness the more perfectly and inwardly you know Jesus. A lot of Adams’ moves here seem to echo that sermon of Bernard, which is based on the text “thy name is like oil poured out,” and is all about the name of Jesus and the names of God: calling something “a name of mercy,” for example, is from here. Adams goes on from there. On and on from there, on and on in a way that suggests the fullness of every word of Scripture. Check him out.